Snrky: I'm such a rebel. I'm generally not one to attend security conferences, (I usually stay a little closer to home) but for those of you going, this might be helpful. Oh, and don't forget your phone charger! Title: I'm such a rebel. 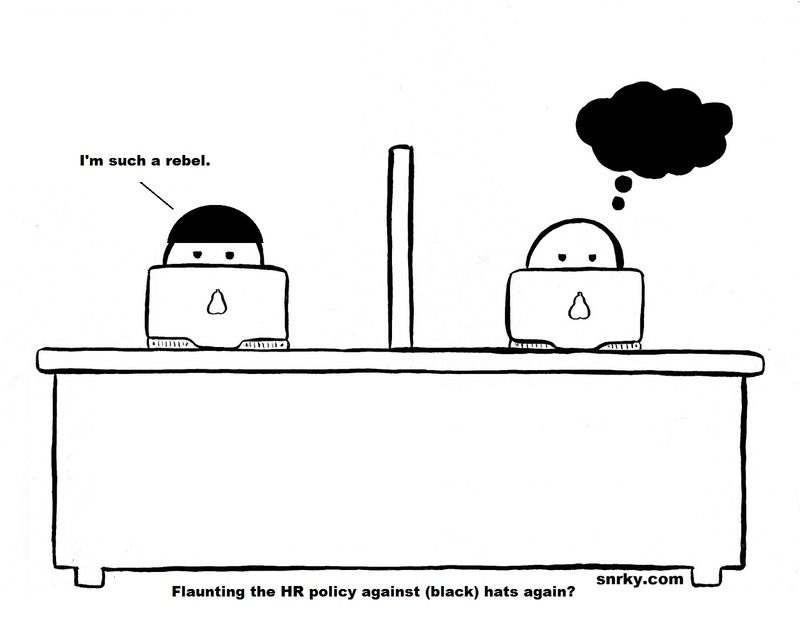 Snarky: Flaunting the HR policy against (black) hats again?